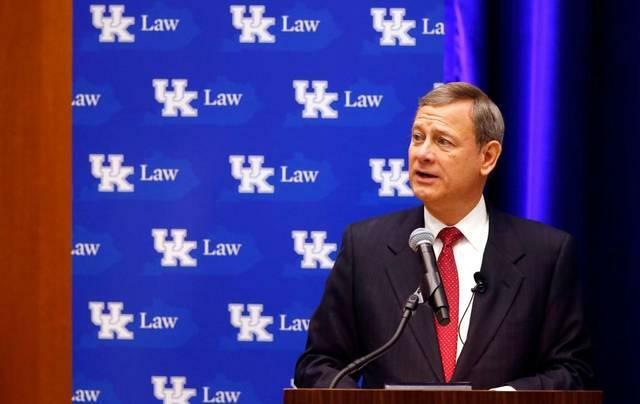 Just a day after President Donald Trump’s announcement of a nominee for the Supreme Court, Chief Justice John Roberts visited Lexington. Justice John Roberts, America’s 17th chief justice, sat down at the University of Kentucky for a talk with John Duff, Director of the Administrative Office of the United States Courts. Roberts, asked about building congeniality on the high court, noted there are times he might meet with fellow justices individually, and even make edit suggestions before the release of a ruling. With the current vacancy on the court, the chief justice said during his Wednesday visit to the U.K. College of Law, that of the eight remaining members have made an effort to work more closely to find common ground. 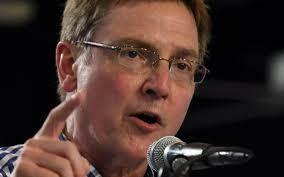 Roberts has served on the High Court since 2005 and previously clerked for former Chief Justice William Rehnquist. He said the court now hears fewer cases. During his conversation with Duff made no mention of the President or his nominee but he did speak of the number of lawyers across the U.S. He said too many end up in their second or third pick in the legal profession. “If you wanted to be a trial lawyer because you like legal dramas or whatever and you think that’s something I want to do. Well, don’t go be a tax lawyer when you get out of law school. You’re going to find you’re a lawyer, but it’s not what you want to do, ” he said. Piano music greeted those who filled Christ Church Cathedral Tuesday night, creating the feel more of a unifying rally than a protest. But Secretary of State Alison Lundergan Grimes elicited a strong response urging attendees to denounce hate and fear. Following a weekend of reactions to President Donald Trump’s executive order limiting immigration into the U.S, Lexington’s mayor says the city will continue welcoming those who come into the community.